It has been 18 years and 109 days since the city’s pledge to build the West Branch Library. Prior to the first Cardinals football game held at the University of Phoenix stadium as your Yucca district councilmember I insisted that senior management create a “Neighborhood Protection Plan” for neighborhoods adjacent to the stadium. I, and the residents, worried about game day parking on neighborhood streets and cut through traffic to get to or to leave the stadium. Such a plan was created and implemented. Many of you in adjacent neighborhoods may remember the Resident Placards distributed to every household adjacent to the stadium. After years of attendance most of the fans have been trained and do not park in neighborhoods or cut through them anymore. Barricades at the entrance to adjacent neighborhoods are still used on game days just to remind fans to park elsewhere. This time the city has created its own parking mess, not adjacent to the stadium but rather in neighborhoods adjacent to Heroes Park, located at the northeast corner of 83rd Avenue and Bethany Home Road. Despite the lack of amenities at the park for there are only a few basketball courts, a splash pad, a tot lot and ramadas, the park is still heavily used and loved, especially on weekends. So, what’s the problem? There are not enough parking spaces at the park. As a result, people park in the dirt along the periphery of the park, especially along 83rd Avenue. The city, in its wisdom, decided this would never do. Instead of creating more parking spaces, direction was given to park rangers to tell people that such parking was prohibited and they would have to move their vehicles or suffer their vehicle being towed away. Where did the park rangers tell people to park? They told people to park in an adjacent neighborhood on the south side of Bethany Home Road. Last weekend over 75 vehicles parked in that neighborhood. There were so many cars that neighbors came out of their homes to see what was going on while seeking an explanation for all of the cars lining their streets. day and night. Vehicles traveling eastward approach the pedestrian crossing area from a hill with a curve providing no sight line to see pedestrians. There is no signage, no crosswalk, and no markings for vehicular traffic warning of heavy pedestrian crossings. Quite frankly, it is just a matter of time before a pedestrian is injured or killed trying to cross Bethany Home Road to get to the park. What was the city thinking? The city has a policy that does not allow Cardinals game day parking in adjacent neighborhoods yet now is directing park patrons to park in an adjacent neighborhood? Why? spaces on 60 acres of unused dirt and weed-filled Heroes park property, it directs park patrons to park in a neighborhood? Is it because, once again, a problem at this park in west Glendale is not a priority? It is ironic that the city could throw $32 million at its Cardinals parking problem but appears to have neither the motivation nor the money to fix a relatively minor parking issue. Is it a reflection of the city’s reluctance to spend any money on infrastructure improvements in west Glendale? Or was it through sheer incompetence that such a wacky solution was created? If this situation occurred in north Glendale it would last about 30 nanoseconds. Where is Councilman Chavira? He had been told of the problem by local residents. Why hasn’t he demanded that this parking problem and safety issue be solved? Once again, we have an invisible councilmember who is not listening to his district residents much less advocating for an immediate remedy. Our district deserves better representation than it has received from Sammy Chavira during his term of service. Oh wait, Sammy doesn’t appear to serve his community interests…only his own. Is it because there isn’t any money to be made for Sammy in creating a parking solution? Glendale…fix the parking problem you created. It has been 18 years and 102 days since the city’s pledge to build the West Branch Library. Please note: If you would automatically like to receive notification every time I publish a new blog post simply fill out the box to the right of this blog with your email address. You will receive an email asking you to confirm. Click on it. That’s it. You’re done. Tom Traw of the Yucca district and Norma Alvarez of the Ocotillo district have joined forces and are calling for Yucca and Ocotillo district residents tired of seeing a dirt and weed filled park. They are calling on all Yucca and Ocotillo residents to go to the next Glendale City Council meeting on Tuesday, April 12,2016 at Glendale City Hall in the Council Chambers. I applaud their effort. I plan to attend that evening. A permanent 35,000 SF branch library to serve residents to the south and west of Grand Avenue. The current proposal to place a 7,500 SF modular building to serve as a branch library is a travesty. It will be 1/5 the size of the Foothills Branch Library (35,000 SF) and half the size of Velma Teague Branch Library in Murphy Park (approximately 15,000 SF). It removes the city’s urgent need to fulfill its commitment to build a permanent West Branch Library at Heroes Park. A major recreation and aquatics center similar to Foothills Recreation and Aquatic Center. splash pad, a tot lot with some tables and benches, a closed and abandoned X Court (for inline skating) and ramadas (for rent). That’s it. The balance of 66 acres sits desolate with dirt and tumbleweeds. park was on the verge of disappearing. The city seriously considered selling the park land to a developer for nearly 500 homes. It took a massive show of citizens objecting to the sale to save this park. Over the years former Mayor Scruggs and the councilmembers who supported her have played games with this park and at her direction, along with a majority of councilmembers in 2006, $6 million for park development was diverted to complete the construction of the Regional Public Safety Training Facility. The most recent threat to this park’s development, prior to the Great Recession, was the city’s plan to build a new City Court House. Any money earmarked for the park would have been diverted to build the court house. instantly to buy the land and to build parking to satisfy the Cardinals. They had to fulfill their contractual obligation to the Cardinals and so the parking will be constructed. Yet they can’t seem to find money to finish this park. What other issues face the residents of the Yucca and Ocotillo districts? One is O’Neil Park’s swimming pool. Several years ago leaks were discovered and the pool was closed and has been closed ever since. It has disenfranchised over 2,000 children who live in the square mile from Camelback Road to Bethany Home Road, 59th Avenue to 67th Avenue. It has the densest population per square mile of any square mile in the city. That square mile contains over 1300 homes and is ringed by 10 apartment complexes. Swimming pools per home is one of the lowest in the city. If I remember correctly, there is one residential pool for every 10 homes in that square mile. When we lived in that square mile we had no pool and our family relied heavily on the use of O’Neil pool. Now the city wants to bulldoze the pool and “repurpose the land.” The city has a solemn obligation to repair or rebuild O’Neil pool. In the Capital Improvement Plan one of the criteria for deciding the merit of a project is the city’s obligation to repair and remediate existing city infrastructure. That is exactly what O’Neil pool is, existing city infrastructure. The last issue of importance for the Yucca and Ocotillo districts is Jake Long’s (son of deceased John F. Long) request to put over 1,100 homes on the farm land between the Grand Canal Linear Park and Camelback Road, 83rd Avenue to 91st Avenue. The plan’s housing proposal is too dense and many of the homes are requested to be built on 5,500 square foot lots. The city’s minimum single family lot size is R1-6, 6,000 square feet. Typically lots smaller than 6,000 square feet are reserved for attached homes and not for a single family home. Why would the city accept such a plan? Because it’s Jake Long asking? Because that’s all that this part of town merits? I fought this fight the entire time I was on council and succeeded many times. For example under my leadership, Rovey Farm Estates’ smallest lots on its west boundary at 91st Avenue are 8,000 square feet and lots on the east boundary on 83rd Avenue are from 1/3 of an acre to an acre. Missouri Ranch has a minimum lot size of 10,000 square feet and sits on the eastern boundary of the proposed Long development project. There are many streets in this area adjacent to the proposed development whose homes are on one acre lots with horse privileges. None of these residents are happy about having small, residential lots adjacent to them. By now you should be angry and disgusted. I know that I am. These two districts, Yucca and Ocotillo deserve better treatment and a renewed laser-like focus by the city. No longer should we shrug our shoulders. It’s time we spoke out and demanded better. It’s time. Think about it. Somewhere between 100 and 150 people showed up to oppose the sale of the Foothills Branch Library and they succeeded. An equal number of citizens showed up to protest Becker Billboards’ proposal to erect billboards in north Glendale. They, too, succeeded. A show of force, a show of citizens will cause city council to react. Please plan to attend the Tuesday, April 12, 2016 meeting of the city council at 6 P.M. Citizen Comments are offered at the beginning of each city council meeting. You do not have to speak unless you wish to do so. Comments are limited to 3 minutes per individual. So take the time to plan your remarks. Others will be there to speak. We need numbers…hundreds of residents to show that we stand behind the speakers to these issues. Please commit an hour or two that night to back up the speakers and to demonstrate to city council that there are a lot of people who want this council to pay attention to and to fulfill commitments made. Please email Tom Traw at ttraw@aol.com or call Norma Alvarez at 623-934-0734 to let them know that you plan to attend and to support your district. Are you tired of a dirt and weed filled park that has languished for over 18 years? Are your children now adults but when you moved here counted on a park and library for their enjoyment? A park and library that never came. An entire generation of children has grown up without benefit of Heroes Park and its branch library. Are you tired of the city’s neglect of your neighborhood? Whether it’s code enforcement or poor streets or lack of maintenance of city infrastructure? Are you tired of the city’s inaction and failure to fix O’Neal pool? Are you tired of the city’s acceptance of proposed residential projects that do nothing to preserve your property values? Are you tired of the city’s acceptance of proposed dense, residential projects filled with small homes on even smaller lot sizes? 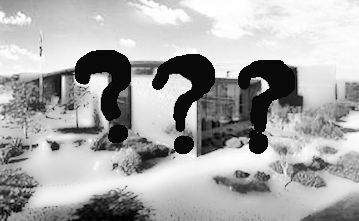 Are you tired of the neglect that has become pervasive in the Yucca and Ocotillo districts? Then please join us Tuesday, April 12, 2016, at 6 P.M. at City Hall Council Chambers (at the intersection of 59th Avenue and Grand Avenue) for a show of force. Citizens are advised not to clap or shout during the meeting. The practice has become to raise your hands high when you approve of a speaker’s message. We will not be the silent majority any longer. We will make our presence known and our voices heard. I will be there. Will you? Tuesday, April 12, 2016 at 6 P.M.
At the intersection of Grand Ave. and 59th Ave. It has been 18 years and 71 days since the city’s pledge to build the West Branch Library. The City of Glendale is hosting a meeting on Saturday, February 27, 2016 to receive citizen input on two proposals for a branch library serving west and south Glendale. 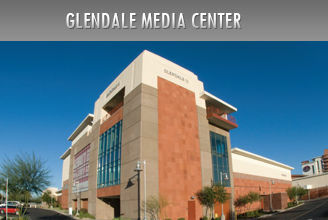 Here is the link to the information about the meeting: http://www.glendaleaz.com/Library/WesternAreaBranchStudy.cfm . It will be an Open House at Desert Mirage Elementary School, 8500 W. Maryland Avenue, Glendale, AZ between 10 AM and Noon. I am attending and I am telling them not just “no” but “hell no.” Why? For 18 years we, in west and south Glendale, have been promised not a make-shift facility but a full-fledged branch library. Senior staff and the city council would be off the hook by throwing us a bone– a make-shift facility. That removes the pressure on all of them to fulfill a long standing 18 year promise. What are we? Chopped liver? Is it only other areas of Glendale that receive the financial resources to provide high quality amenities for its citizens? By the way, have you checked out the ramadas at Heroes Park lately? They are really dirty and in need of major maintenance. But again…it’s west and south Glendale…not Arrowhead. The most dismaying concern is that Assistant City Manager Tom Duensing was able to find General Fund debt capacity to cover a $32 million dollar bill for land and to develop parking adjacent to the University of Phoenix Stadium but he is reluctant (or stubborn?) to find General Fund debt capacity to fund the building of a west branch library promised over 18 years ago. People are offended and angry. Some will say but this is better than nothing and we have had nothing for a very long time. What they do not realize is this token removes the pressure from staff and from council to ever build a permanent branch library. The next time a request is made for such a facility their rationalization will be but you do have a branch library. It’s not as if the need is pressing. There are other needs that take precedence. I encourage people from the Yucca and Ocotillo districts to attend Saturday’s Open House and to tell staff that neither a token, symbolic library branch in the Media Center nor a small, modular building in Heroes Park fulfill Glendale’s promise to its residents. Let them know it’s time to fund the branch library promised over 18 years ago. It has been 18 years and 21 days since the city’s pledge to build the West Branch Library. In 1990 Glendale’s population was approximately 151,449. Two years later, in 1992, Glendale implemented a full council district system of representation with 6 council districts of approximately equal populations. At that time each district would have had about 30,000 residents. The geographical size of the districts varied to accommodate equal population distribution. A little history is in order. In the late 1970’s to mid 1980’s the Hunt brothers, billionaires from Texas, had acquired most of the land we know today as Arrowhead. They intended to master plan and develop the entire area. In support of their plan Glendale built a water treatment plant to accommodate the anticipated population growth. Disaster struck. The Hunt brothers attempted to corner the precious metals market, especially silver. Paul Volker, Chairman of the Federal Reserve, brought their scheme to an end and by the late 1980’s the brothers were convicted of manipulating the market. What was Glendale to do? It had invested a great deal of money in a water treatment plant now sitting idle. It took on the task of master planning the area and investing millions in developing the infrastructure of the area while ignoring the needs of the rest of the city. It also reserved a substantial parcel of land for what would become Foothills Park. It paid the Hunt brothers for the water treatment plant it had built. In essence Glendale paid twice for the very same plant. Developers began building homes in the area. With the mayor of Glendale residing in the Arrowhead area it didn’t take long for resources to flow into development of Foothills Park and within 8 years the area also had its branch library, the Foothills Library. In 1998 the Foothills Aquatic & Recreation Center and the Western Area Regional Park had been placed on the city’s Capital Improvement Program (CIP). zero splash pad. The skate area and ramadas were built after 2007. The skate area sits idle…vacant…growing tumbleweeds. The ramadas were built because they generate rental income. They are used heavily. Since its arrival in 1998 on the city’s CIP there is no branch library, no Recreation & Aquatic Center, no baseball fields, no urban fishing lake, and no dog park. Only 20 acres of the total park acreage of 88 acres has been developed. Make no mistake…I am as mad as hell. Over the past 18 years there has been a deliberate and concerted agenda by previous city councils to ignore the development of this park. Today with the exception of Mayor Weiers and Councilmember Turner it remains ignored and neglected. Through Mayor Weiers effort to call attention to this park this year 83rd Avenue north of Bethany Home Road (the western boundary of the park) will see road improvements in the form of curb, gutter and sidewalk. A bone to be sure but it is something. At some point a modular building will be erected, one tenth the size of the planned branch library, to serve as this area’s library. Another bone to be sure. acres of the total park acreage of 88 acres has been developed. It is a travesty, shameful and embarrassing that the city has a major, regional park three quarters of which grows tumbleweeds.